Some effects of communication is that social media is all about sending and receiving information, the reasoning for that is some messages might give off a certain type of way even when it isn't meant to. Such as using symbols, emojis, and the way you use your words. I was born August 12, 1999. 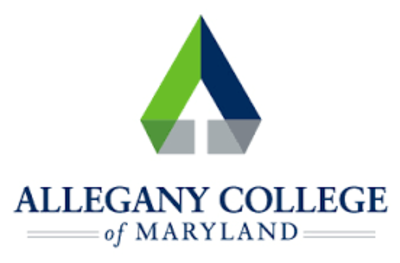 I am from Maryland, I play basketball for Allegany College Of Maryland. Show how social Media has its pros and cons but also how social media have become better over time and now how great it is and so many things that we can do with social media. Anybody can literally find anything they would like to know about the world, anything that happened in a different country right on the internet. The cons of social media to me may over weigh the pros of it, and I say that because it is a major distraction sometimes in classrooms while driving when supposed to be paying attention they take much attention off when there is supposed to be all attention to something else important. Through social media, many cliques have been created, and people are also trying to make life online. During the old days when networking was not there, friends used to go out and have a good time, and mostly it was essential to people in high school. Today having many followers on twitter is enough popularity. Facebook and Twitter are some of the prominent examples of free social networking websites, they use registered users to create profiles an upload pictures, and they also enable users to share messages and memes to maintain contact with family and friends. I gave my opinion with facts that I have found on the internet and wrote my paper. Bailey Parnell talks about how Social media can be hurting teens that abuse it or may live on social media and is a need for them in their everyday life. The advantages that Social media has is how useful it can be at times for people in need to like for something or for students for research. The only thing about that is there would be no more reading books it will be straight to the internet. Social media is all about sending and receiving information which makes it key in everyday life. The topic becomes interesting because its effects are tremendous and cannot be overlooked. The kind of information that goes around social media and the different target groups make the topic even more interesting to study. People who have a life on the internet for that they lose connection with the real world because nowadays a good reputation online is important, and through networking, communication thrives well. Through social media, many cliques have been created, and people are also trying to make life online. The goal is to get people to use social media in a good way and not really abuse it for other things also not use it in bad timing such as driving or class. Going on the internet you can get mostly any information for free and you could go to the library to use an computer if you cannot use your cell phone.